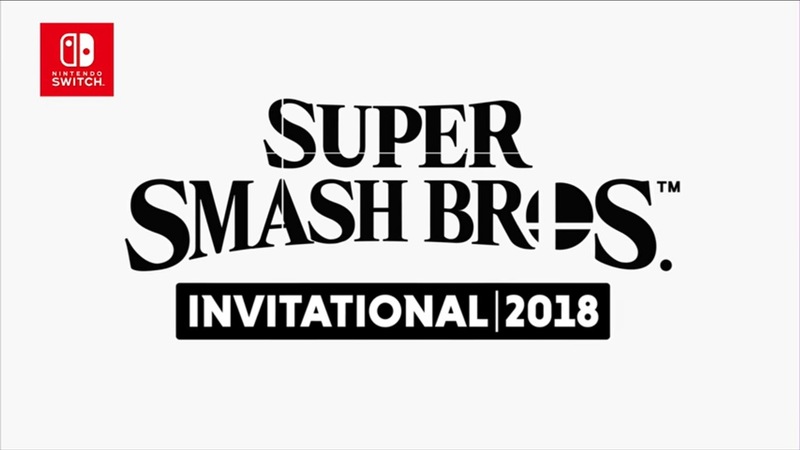 Nintendo has announced the lineup of players who will be competing for the Super Smash Bros. Invitational 2018 at E3 2018 in June. Eight players will be at the event, including Armada, Zero, and more. The Super Smash Bros. Invitational 2018 will take place right after the Splatoon 2 World Championship finals on June 12. Note that there will also be some other invited guests that might be playing Super Smash Bros. for Switch at the event. We have today’s announcement in full below. Who will emerge victorious when eight talented players from around the world compete in the Super Smash Bros. game for the Nintendo Switch system? The world will find out during the Super Smash Bros. Invitational 2018 tournament taking place the same week as the E3 2018 trade show in Los Angeles. MkLeo – A professional Super Smash Bros. for Wii U player from Mexico. His favorite Nintendo game is Fire Emblem. He was the champion at GENESIS 4 and GENESIS 5. He was also the EVO Japan 2018 champion. ZeRo – A professional Super Smash Bros. for Wii U player from Chile. His favorite Nintendo game is Xenoblade Chronicles. His hobbies include writing and motocross. He was the champion at EVO 2015 and GENESIS 3. He also won the Super Smash Bros. Invitational in 2014. Armada – A professional Super Smash Bros. Melee player from Sweden. His favorite Nintendo game is Super Mario 64. His hobbies include ice hockey and table tennis. He’s the GENESIS 2 singles champion and the GENESIS 4 doubles champion. Abadango – A professional Super Smash Bros. for Wii U player from Japan. His favorite Nintendo franchise is the Xenoblade series. His hobbies include watching anime and reading. He was the runner-up at EVO Japan 2018. He also ranked in the top five at EVO 2016 and GENESIS 4. Plup – A professional Super Smash Bros. Melee player from Florida. His favorite Nintendo game is Super Metroid, and his favorite Nintendo memory is beating Super Metroid for the first time. He was the champion at GENESIS 5. Mr. R – A professional Super Smash Bros. for Wii U player from the Netherlands. His favorite Nintendo game is The Legend of Zelda: Ocarina of Time. His hobbies include reading manga and traveling. He was the runner-up at EVO 2015. Lucky – A professional Super Smash Bros. Melee player from California. His favorite Nintendo game is The Legend of Zelda: Ocarina of Time. He ranked in the top five at EVO 2017 and at GENESIS 5. Mang0 – A professional Super Smash Bros. Melee player from California. His favorite Nintendo game is Mario Kart 8 Deluxe. He was the champion at EVO 2014. Each of these players will be playing the Super Smash Bros. game for the Nintendo Switch system for the first time at this event. Anything could happen! There will also be some other invited guests that might be playing Super Smash Bros. for Nintendo Switch. More information will be announced at a later time. Nintendo’s festivities at E3 kick off with two days of high-level competitive action. On Monday, June 11, from 3:30 p.m. to 6 p.m. PT, international teams will ink their way to glory in the opening rounds of the Splatoon 2 World Championship tournament. The finals will take place the following day on Tuesday, June 12, immediately followed by the Super Smash Bros. Invitational 2018 tournament.